Most men have a beard grooming kit at home; just a small box that carries essential items such as razors, blades and creams. Instead of buying grooming products separately, you can buy a single set. It saves you money and the hassle of researching products separately. Below are some of the best beard grooming kits you can purchase today. 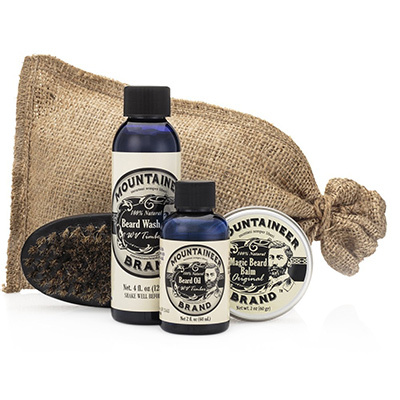 Whether you have a long beard or a trimmed down beard, the Mountaineer Brand Beard Care Kit comes as a comprehensive solution to take care of your beard. It features some of the top grooming products such as the WV Timber Beard Oil, which softens your beard before you shave. The Original Beard Balm included in the package lets you condition and soothe your beard after shaving. An oval military-design brush is included in the package, allowing you to apply shaving treatments. The long bristled and dense brush makes it easy for you to form lather. The kit comes in a burlap bag; components include oil, wash, balm and brush. With these products, you will have all your grooming needs taken care of. The ingredients in these products are all-natural. They are handcrafted to ensure high quality. Based on the items in this kit, the kit is offered at a great price. 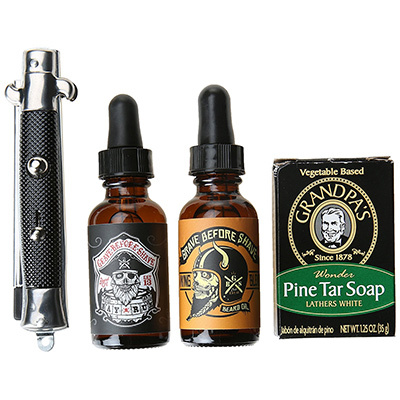 The Grave Before Use Beard Pack is a beard grooming kit containing shaving oils, shaving soap, and a switchblade comb. All the products in this pack are natural with ingredients that have been proven to offer great benefits for every groomer. The comb sports a stainless steel construction, enhancing its performance and durability. Some of the ingredients in the oils include Tea Tree Oil, which gives the oil its natural scent and nourishes the skin, Jojoba Oil, Apricot Oil, Sweet Almond Oil, Aloe Vera and Vitamin E among others. 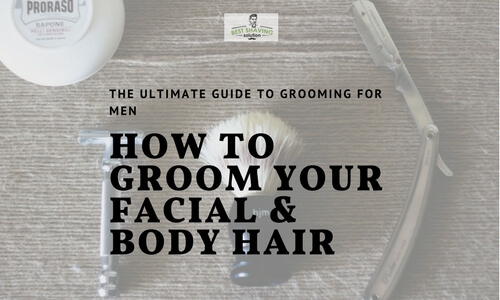 The ingredients are geared towards nourishing the skin, conditioning and softening the beard, or preventing nicks and irritation that occur after shaving. You can use this as a complete beard grooming kit or add a few items such as alum block and shaving cream. Beardsley and Company was founded in 1993. 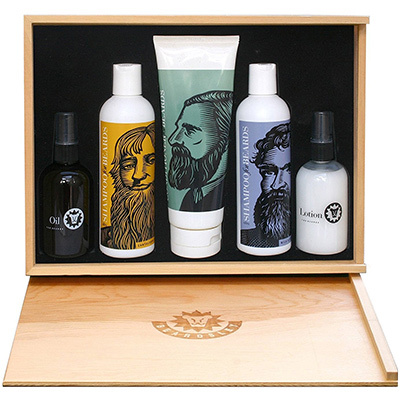 The company has been specializing in special formulas for beards, and is recognized all over the world. The kit comes with a number of products including a facial hair shampoo. This Beardsley Ultra Shampoo is offered as a 2x full size 8 ounces cantaloupe with wild berry flavors. This shampoo keeps your beard clean and fresh. Beardsley Ultra Conditioner ensures your facial hair stays soft. When applied, it ensures your facial hair remains smooth and soft. Besides, you are offered a cooling and soothing lotion to reduce irritation after shaving. This lotion features a refreshing aromatic Bar Rum scent. The oil makes your beard easy to comb and trim. 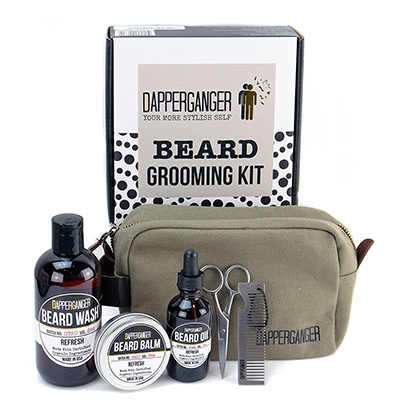 The DapperGanger Beard Grooming Kit is offered with a travel bag, a pair of stainless steel scissors, metal beard comb, beard oil, beard wash and beard balm. The products in this grooming kit are formulated from all-natural ingredients, making them safe for those with sensitive skin. The products in this grooming kit are offered in full-size bottles, allowing you to use them longer. The oils are geared towards reducing dandruffs, conditioning the beard and keeping it soft, and moisturizing the skin. Each product is offered in a custom, light, and refreshing scent that appeal to many people. The canvas vegan leather bag lets you carry your grooming items with ease; this bag is highly durable. This kit is packaged in a gift box. As one of the best beard grooming kits, the unit comes as an all-inclusive set. 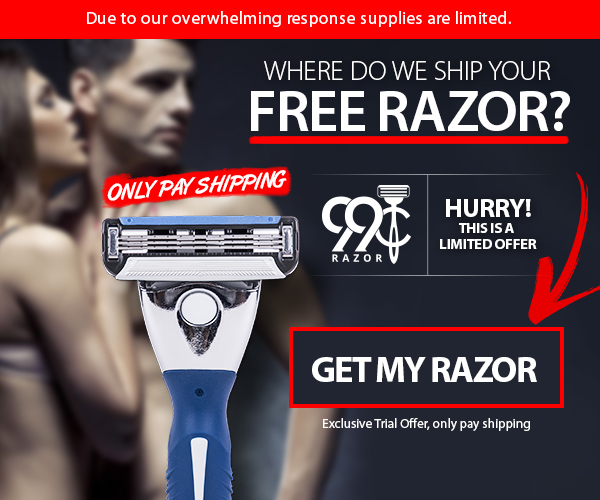 It allows you to shave with ease and reduce irritation and nicks that might appear after shaving. 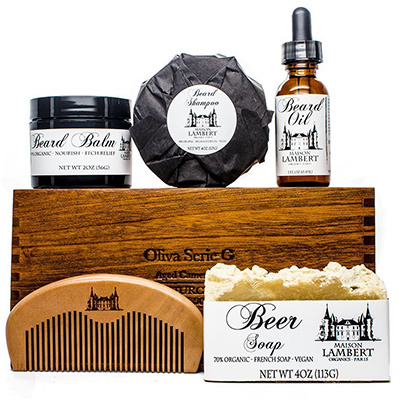 The Maison Lambert Ultimate Beard Kit is an organic and handmade beard grooming kit made in French tradition. The unit is packaged in a wooden cigar box. In the package is an organic beard balm, beard oil, shampoo, beard comb and a free body soap. Each product is created free of hypoallergenic and artificial fragrances. The use of pure essential oils in the formulation of these products ensures the creation of luxurious products which makes it one of the best beard grooming kits you can buy. The manufacturer does not test products on animals. Each product is free of parabens, dyes, sulfates, petroleum oils, toxins and artificial fragrances. Some of the ingredients in the products include Argan Oil, Jojoba Oil, Shea Butter, Tea Tree Oil, Castor Oil, Cocoa Butter, Lavender Oil, Cedarwood Oil, Lime Oil and Rosemary Oil among others. If these grooming sets are not exactly what you were looking for, find a wide selection of products and tips from our guide to men’s grooming! The best beard grooming kits should meet your needs. If you have a long beard, choose a kit that lets you condition and soften and comb it. Short beards are easy to take care of as all that is needed is a conditioner and a lotion. If you shave frequently, your grooming kit will have creams, gels, alum blocks and other shaving products. What makes up your beard grooming kit?